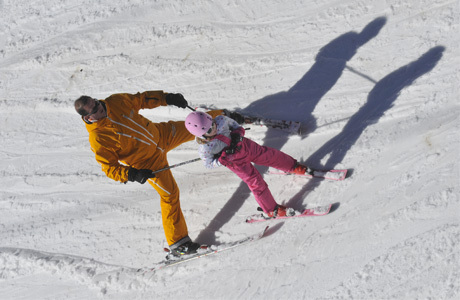 Ski, snowboard, telemark, snowscoot, skwal, our instructors cover all the different disciplines. Alone or accompagnied, have an instructor "for your eyes only". We respond to your request with a maximum of efficiency and flexibility respecting your rythm. Price valid for 1 ou 2 persons. SKICOOL Risoul offers a range of activities suited to handicapped persons to enable them to take part in the pleasures of mountain sports. Let’s all enjoy the joys of riding sports! Same prices than PRIVATE LESSONS.